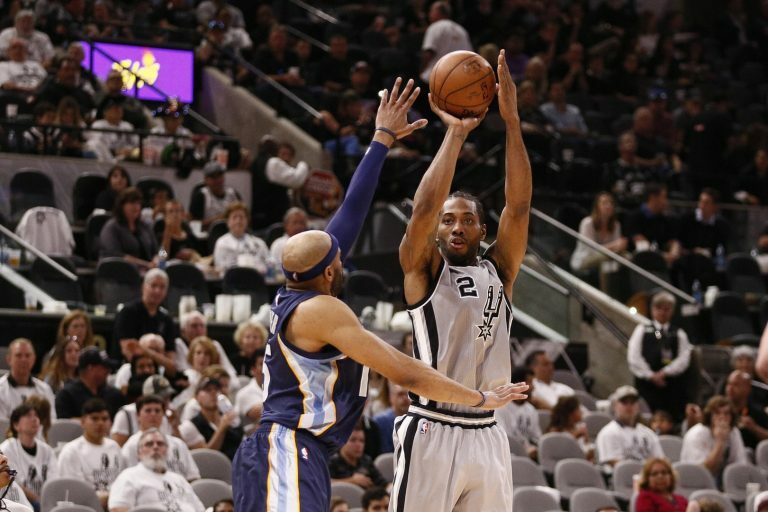 Leonard is a perfect 28-28 from the charity stripe, and Spurs Head Coach Greg Popovic praised Leonard for his ability to get to the line and convert at such a consistent clip. The Florida Gators have been a top notch defensive program for over a decade now. When Florida brought in Jim McElwain to be their head coach, they were hoping for improvement on the offensive side of the ball. Florida got what they wanted, but the in the end, it’ll always be a program known for their defense. Last season, the Gators defense ranked sixth in the nation, only allowing 17.9 points per game while limiting opposing passing attacks to under 160 yards per game. The area where they struggled was defending the run, allowing nearly 150 rushing yards per game to opposing teams. This will be the main area to improve on the defensive side of the ball, and the Gators will have to do so with a line filled mostly with underclassmen. With Spring football coming to an end, it’s time to take a look at the the defensive lineman who need to step up with the loss of Caleb Brantley, Joey Ivie, and other former Gators. 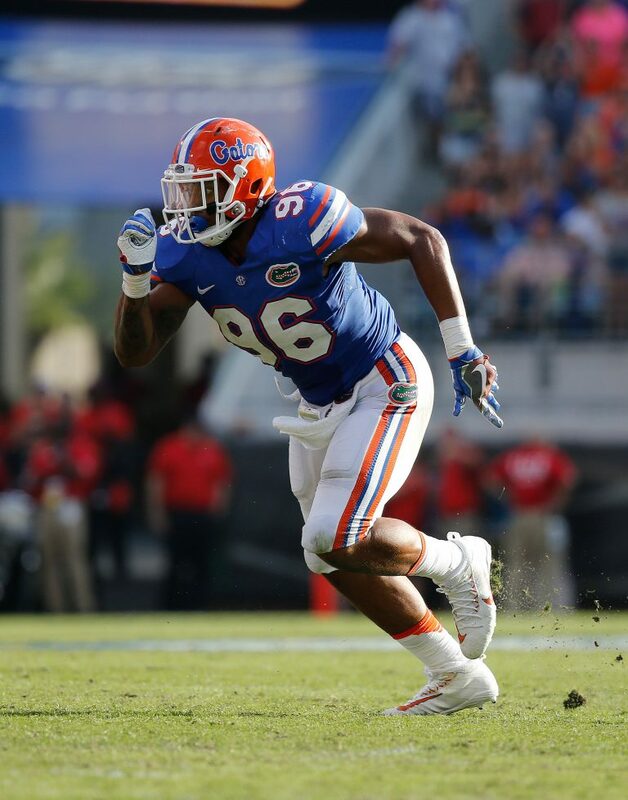 Looking at the defensive ends for Florida, they have a good amount of returning players from last season who made an impact. Two of the names that stick out are Jabari Zuniga and Jordan Sherit. As a Redshirt Freshman Zuniga played in all 13 games for the Gators, earning the start in three of those games. He totaled 25 tackles on the season, including one forced fumble, 8.5 tackles-for-loss and a team-best 5.0 sacks and 11 quarterback hurries. Sherit, the lone senior on this defensive line, appeared in 10 games last season and recorded seven starts. Sherit’s main issue was injuries which cause him to miss a few games last season. When healthy, Sherit is a dominate force on the field. In his limited time, he recorded 38 tackles, 5.0 tackles-for-loss, 3.5 sacks and two quarterback hurries. However two players in particular are ready to make names for themselves as elite players on an elite defense. Those two being Antonneous Clayton, and Keivonnis Davis. Clayton hasn’t quite lived up to his 5-star billing, and he is fully aware of that. Despite playing in only five games during his freshman season, Clayton says his potential is endless. In those five games in 2016 he totaled three tackles, three quarterback hurries and one recovered fumble. It’s almost a tradition that the defensive linemen who come to Florida will eventually end up on NFL rosters. They are all aware of it coming in, and Clayton says he and the rest of the group are ready for those expectations. Keivonnis Davis appeared in all 13 games for the Gators and started five during the 2016 season. He totaled 27 tackles, 3.0 tackles-for-loss, 1.5 sacks, five quarterbacks hurries and one forced fumble. Davis’ five QB hurries was tied for second on the team, while his 2.5 sacks tied for fourth. Last season, Caleb Brantley led this group on and off the field. He showed clear NFL talent during the 2016 season, thus declaring for the NFL draft. With the loss of Brantley, someone from this unit will have to step up. Luckily for the Gators, they have four guys who can do so. These players include Cece Jefferson, Khairi Clark, Taven Bryan, and Jachai Polite. 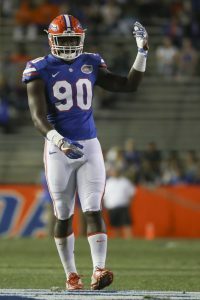 Jefferson is clearly one of the Gators’ best defensive linemen and will have a central role in 2017. He played every defensive lineman position last year, but excelled on the inside. With Brantley gone, Jefferson will have the biggest challenge of anyone on this defensive line. In his 12 games in 2016, Jefferson started in six, totaling 30 tackles, 6.5 tackles-for-loss, 1.5 sacks and five quarterback hurries. Khairi Clark is one of the “veterans” on this roster. Clark is going into his Redshirt Junior season, meaning this will be his fourth year as a Gator. With that in mind, Clark believes that the younger players can really learn from him, not only as a player, but as a teammate. Last season, Clark started in three of the 13 games for the Gators. He totaled 16 tackles, one tackle-for-loss and one sack and was named to the SEC Academic Honor Roll. Those numbers don’t stick out to many, but Clark says he has improved tremendously during the spring. Jachai Polite played in 12 games throughout the 2016 season as a reserve defensive lineman. He totaled 11 tackles with 3.5 of those being tackles-for-loss, 2.0 sacks, one quarterback hurry and one forced fumble. This defensive front is much younger than what the Gators are used to having on their roster, but with the leadership from the upperclassmen Jefferson, Sherit, and Clark, this Gator defense should continue to dominate the SEC and all of college football. Just one year removed from being sent home at the buzzer in the National Championship, the North Carolina Tar Heels would get their revenge. One of the most heartbreaking losses in recent sports memory would be forgotten would be forgotten just after midnight. 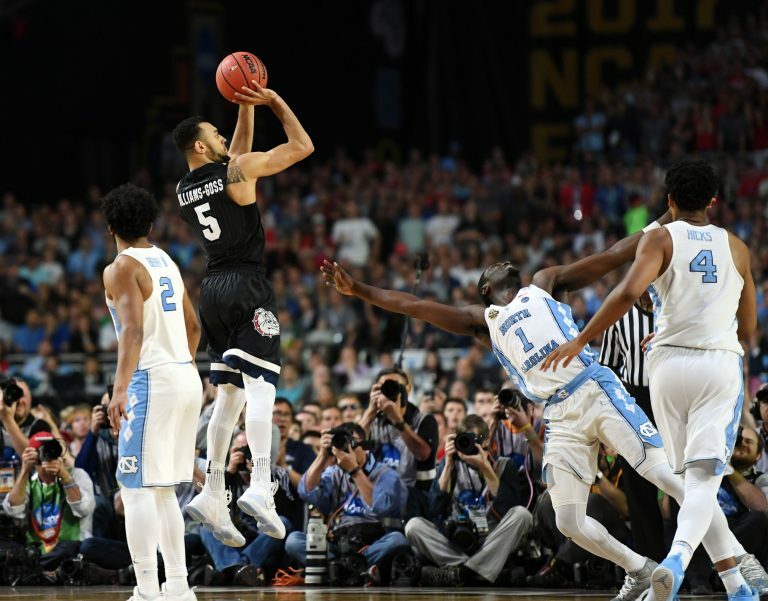 UNC would go on to defeat the Gonzaga Bulldogs 71-65 to capture the school’s sixth championship, and third under Head Coach Roy Williams. The Tar Heels returned most of the same roster from last years team, and the experience was evident during the final moments of last night’s game. For the unaware, last night marked the first time Gonzaga had played in a National Championship game. The Zags came out strong, leading by as many as seven with just under four minutes left in the first half. Josh Perkins came out of the gates strong to pour in 13 first half points, but wouldn’t get much done from that point on. UNC would start to cut into the lead at the end of the first half, with Gonzaga taking a 35-32 lead into the break. Here’s where a roster filled with players who have been in this position before comes in handy. The Tar Heels would start the second half on an 8-0 run forcing Gonzaga Head Coach, Mark Few, to call a timeout. This would spark a run of their own for the Bulldogs. After going scoreless during the first three minutes of the half, Gonzaga would retake the lead after a 6-0 run. However, Gonzaga Freshman Zach Collins would pick up his fourth foul with nearly 16 minutes remaining. 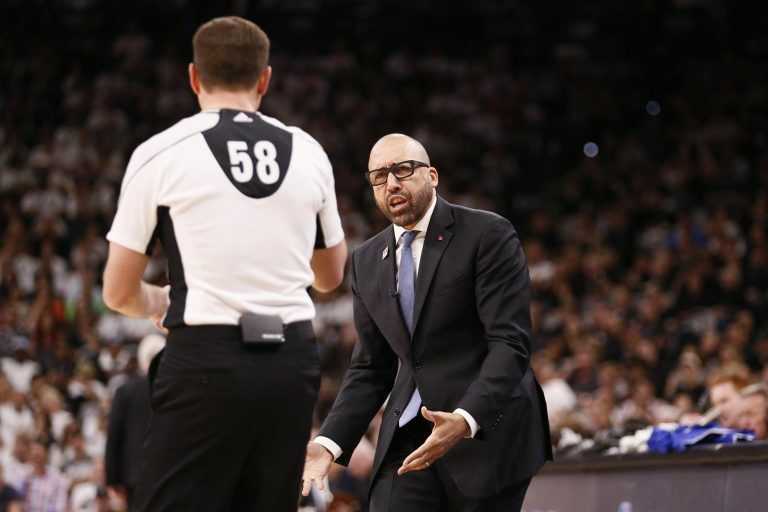 From that point on, foul trouble would be the story of the game. Both teams were in the bonus with 14 minutes left in the second half. Collins would end up playing only six second half minutes before fouling out, while Przemek Karnowski picked up his fourth around the eight minute mark. The Tar Heels would experience some foul trouble of their own with Isaiah Hicks and Kennedy Meeks finishing the game with four fouls. Despite a sloppy second half with the amount of fouls and rough shooting night from both teams, someone had to be crowned a champion. There were 11 ties and 12 lead changes during this one, but the Tar Heels would close the game on a 9-2 run, clinching another title for North Carolina. Joel Berry II would lead the way for North Carolina with 22 points, earning him the most outstanding player award. Berry had been dealing with a number of injuries throughout the tournament, but those clearly didn’t slow him down. It seems that North Carolina is one of the pre-season favorites to advance far in the NCAA Tournament every year. However, the Tar Heels are losing their two big men in Hicks and Kennedy Meeks and Justin Jackson is already a projected lottery pick. Besides that, their roster should remain intact with the exception of the incoming freshman. That said, North Carolina will look to not only repeat as champions, but make it to a third straight National Championship game. 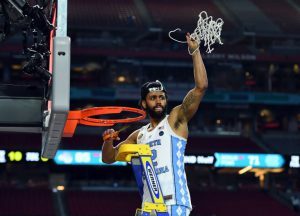 With Roy Williams coaching and Joel Berry II leading the way as a senior, it should be a surprise to no one to see them back in the same position next season. And according to Coach Williams, there is no greater feeling then watching his guys hoist the trophy. For the Bulldogs, losing Przemek Karnowski will hurt. It’s not every day that a college program has a 7-foot, 300-pound man with a finesse style of play such as Karnowski’s. On the bright side, Zach Collins has shown clear NBA talent in his freshman season, and Nigel Williams-Goss should return for his senior season. Williams-Goss was one of the premiere players in all of college basketball this year, despite some minor struggles in the NCAA Tournament. No matter who returns for this Gonzaga ball club, it should be clear to everyone that this team means business. With this being the teams 20th appearance in the big dance and first time in the championship game, Coach Mark Few and company have officially put Gonzaga basketball on the map. But for now until this time next season, the North Carolina Tar Heels will be known as National Champions.